Chances are, if you picked up this book you did so because of the author, Kathy Reichs, and you know her as the author of the Temperance Brennan (“Bones”) books. This, be aware, is a little bit of a departure for Reichs … but a fascinating one. Sunday Night is a tough woman with a decorated but troubled past. She lives as out-of-the-way as possible, so when she is paid a visit and asked to take on a case (as a detective) she knows it’s not likely to be easy. She meets with Opaline Drucker, a wealthy old woman who explains that her daughter and grandson were killed in a blast when a bomb was set off at a school in Chicago. Drucker’s granddaughter went missing at the same time. Opaline wants to know if the granddaughter (Stella) is still alive. The case had already gone cold after the Chicago PD investigated and the investigators on the case aren’t thrilled with Sunday’s stirring up the dust on the old files. But Sunday’s investigation has her bouncing around the country and getting into just a little bit of trouble as she ‘takes care of’ a few people who intend her harm. As the investigation starts to get more intense than she bargained for, she brings in her twin brother, August (Gus) Night (who happens to be African-American by appearance). What the Nights learn is a departure from where they thought the case was going to go and they’ll need the full cooperation of the Chicago PD as well as police and federal officers in other parts of the country to see the case come to a non-violent end. And everyone will need to trust Sunday Night. I really had a great time with this book. It’s dark and mysterious … and that’s just Sunday. The past that haunts Sunday is slowly revealed during the course of the book mirroring the revelations in Opaline Drucker’s missing granddaughter case. Sunday is tough, and yet she leans heavily on her brother, and possibly her step-father, for emotional support (and in Gus’s case, for backup as well). The flawed detective is by no means a new device in the mystery story, but Reichs handles Night well and the mystery of Sunday Night is probably even more interesting than the mystery of Opaline’s granddaughter. However, the search for Stella is a more active and engaging story. One thing that I didn’t care too much for was the violence. No…no, that’s not right. The violence itself didn’t bother me. It was the casualness of the violence that bothered me. Sunday kills more than one person here, and it’s no big deal. If Reichs is trying to make a statement here about how modern readers view life and death, it doesn’t come across. Instead it’s random, Hollywood-like killing and I really don’t care for it in my literature. For that I knock the book down a peg. But for the mystery and the development of characters, this is a winning read. Looking for a good book? 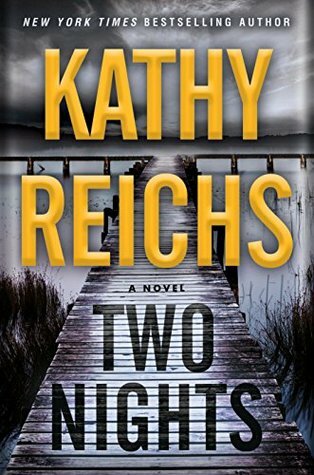 Two Nights by Kathy Reichs is a departure from her Temperance Brennan (“Bones”) series and is a quite good mystery.